After the city of St. Helens was not selected for a federal grant last year that would have helped make development of the city's waterfront property more feasible, the city is now hiring a consulting agency to apply again. 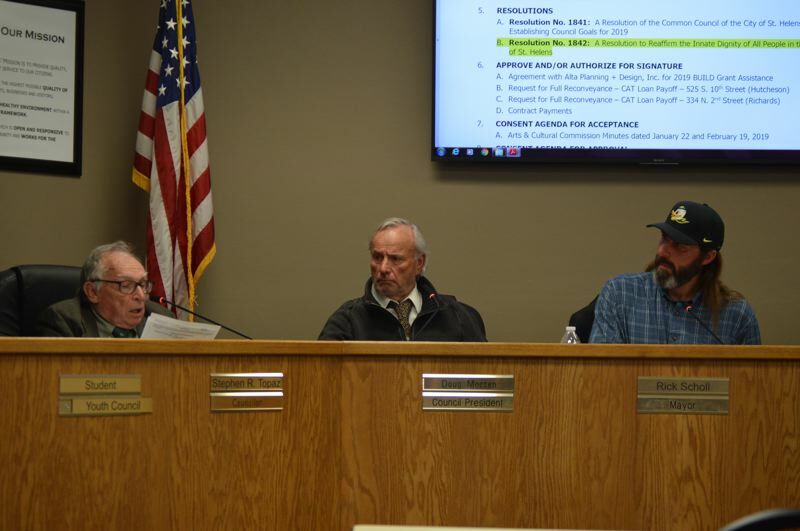 The St. Helens City Council approved a $39,000 contract with Alta Planning and Design on Wednesday, April 3, which will allow the firm to assist the city with its application for the next federal grant cycle. Last summer, the city submitted an application to the U.S. Department of Transportation's BUILD Transportation Discretionary Grants for $15 million to construct a boardwalk, trail and street grid on the city's waterfront land. When grant applicants were awarded in December, however, St. Helens was not selected. City Administrator John Walsh said at the time they were "disappointed, but not disheartened" and the city was interested in applying for funding again. Approving the consulting contract with Alta Planning this week signifies the city's commitment to pursue federal grant funding. Working with a consulting agency will allow the city to strengthen its application for grant funding, Walsh explained. outside of the funding cut-off." Throughout 2018, a group of consultants from Kittleson Associates and Angelo Planning Group have been working with a special committee to develop a Riverfront Connector Plan, an initiative that was grant funded in 2017. The result from that effort is a detailed outline of improved roadways capable of sustaining major traffic from Highway 30 to the city's waterfront as spurred by new development. "That's part of it. Now that there's the Riverfront Connector Plan, more is known and there's information about what it might look like and how to get it funded," Walsh said. Walsh explained that while the city's previous grant application had several weak points, with roadway designs better developed, the grant application for transportation-related funding is stronger. It's not clear exactly how much the city will request in the 2020 cycle. The last request of $15 million had a very high contingency in it, and with more planning efforts now complete, Walsh said it's possible the city could request less. While the 2020 BUILD grant cycle has not yet been announced, entering into the contract with Alta Planning and Design will give the city more time to plan and refine its proposal. "We're setting these contracts in place to get ready to do the work," Walsh said. The federal grant committee offers a review period for applicants, which the city was unable to take advantage of last year. "There's also an opportunity to engage with the grant review staff," Walsh explained. "So the more polished (it is), the sooner we can make our application presentable, and bring our application to the feds."